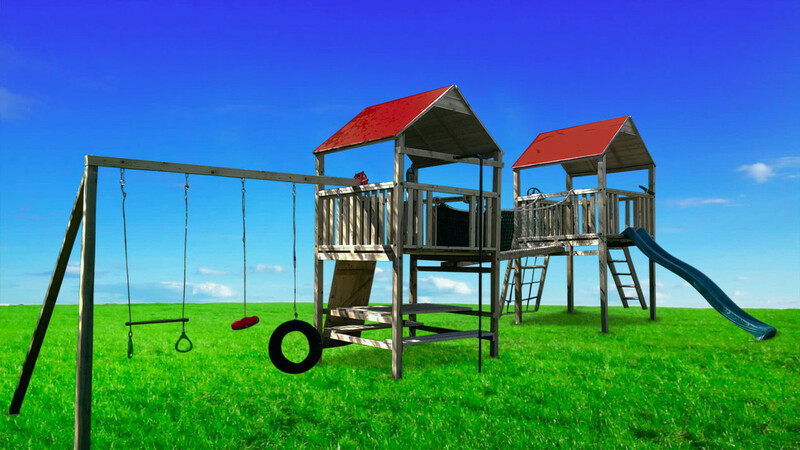 Play Crazy Climbing Frames construct our playsets with 4 inch thick main legs, this is solid wood and not stuck together like other manufacturers. It is machine smoothed and pressure treated meaning it will last for a long time. The systems are designed and braced so that it is structurally strong and the integrity of the overall tower will last for many years. 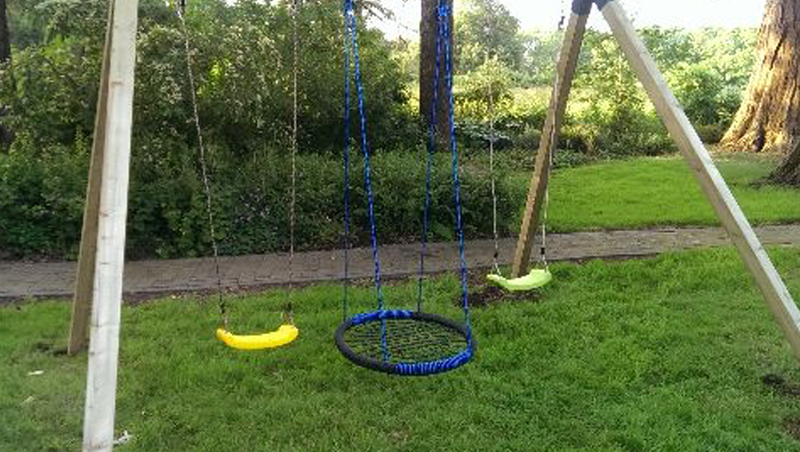 We often brace the swing with metal brackets and hooks and over sized washers making them even stronger with less twist with each swing. We try to exceed the safety requirements, not just pass them. The bridges and floors within the the towers are built using similar sized boards you would use for decking in your garden. The steps don’t just get screwed together, they are pre-manufactured in our warehouse with recessed holes. Each tower can be 5 ft square tower which is a massive 25 square foot of a deck or we can do 6 ft square towers which is 36 square feet. 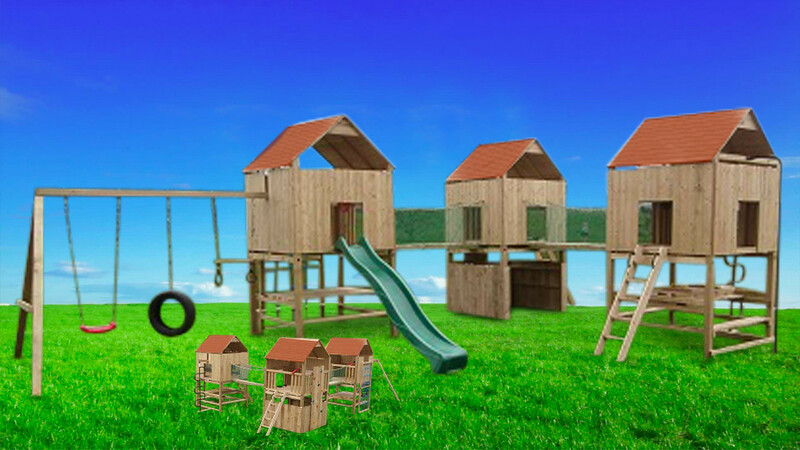 The height of the play systems are the same depending on the ground level and on the deck there is often 5ft7 inches of head room once stood inside the frame with the roof on!!! The modular climbing frame standard tower system means we can place each accessory where you want it to fit your garden or space the best. They are either concreted into the floor for maximum or we can attach it into tarmac and concrete using brackets. Our main focus at Play Crazy is the quality and strength and therefore the safety of our climbing frames. 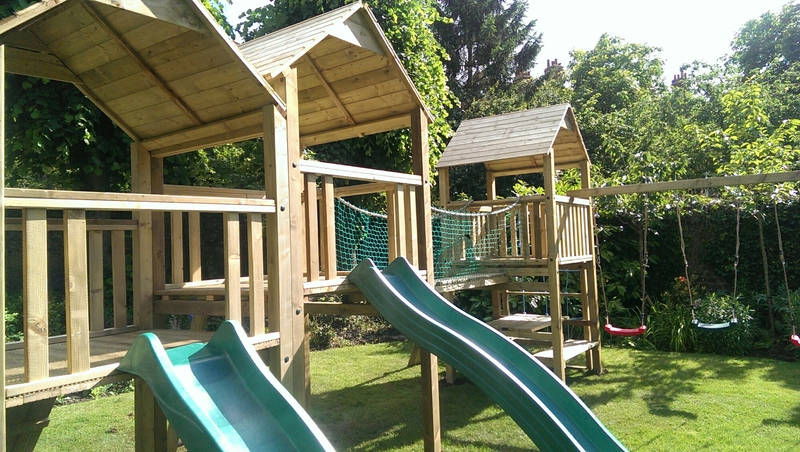 Our climbing frames are manufactured from quality heavyweight timber, making them more robust and able to cope with wear and tear when kids are playing. We use timber that has been specifically machine smoothed to eliminate splinters. 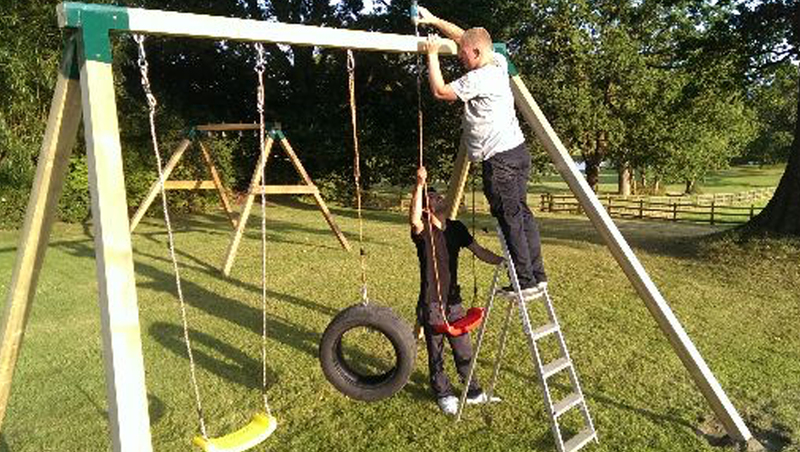 The timber we use is also pressure treated to maximise the preservation of our climbing frames. The legs of the main play frame can be concreted into the ground to hold them in place and ensure the stability of the climbing frame is enhanced. This means that any movement in the playset is minimal, making it safer. 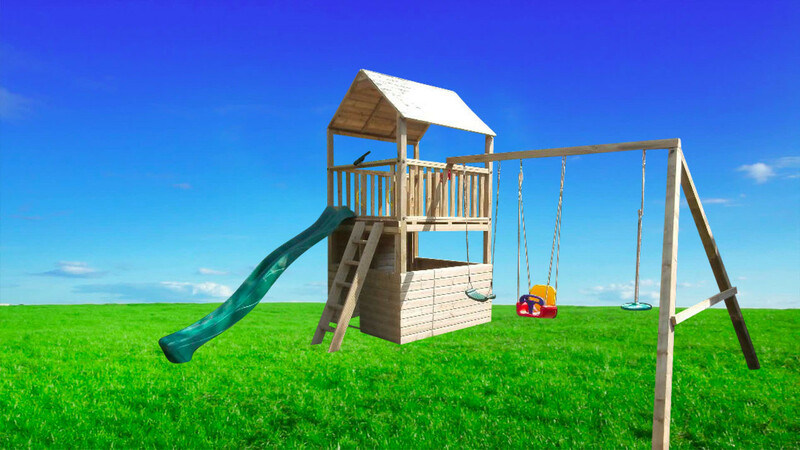 Our sturdy, robust playsets are suitable for older children to play on and therefore it will take longer for kids to outgrow them. We will supply all the wood and attachments to make the design you wanted. 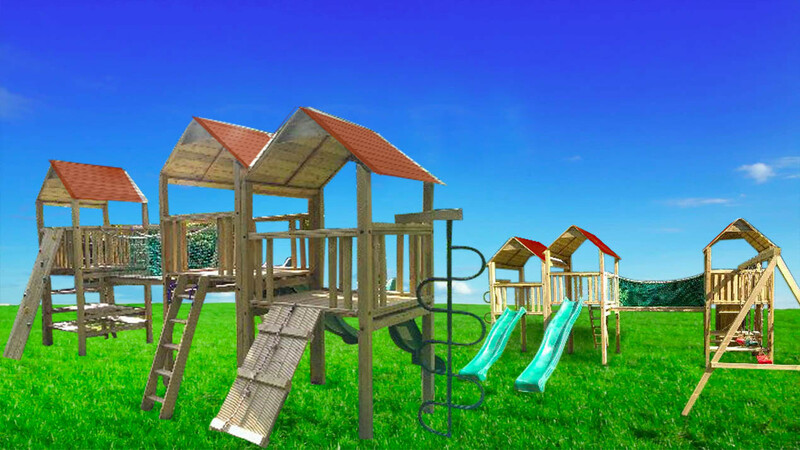 Using the design options means you can customize and change the playsets to fit into your garden using the accessories your children will enjoy the most.